This weekend: Cold stroke of fun - GetGoing NC! 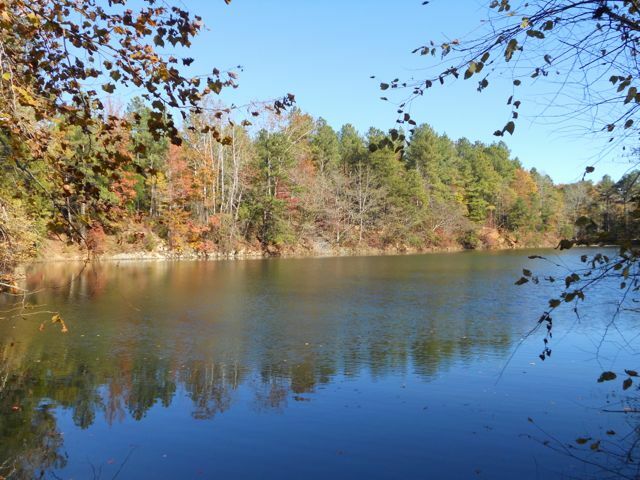 We’ve got hikes in the Piedmont (along the Eno River) and in the mountains (up Little Pisgah Mountain), and a hike, of sorts (walking on water counts, right?) at the coast. 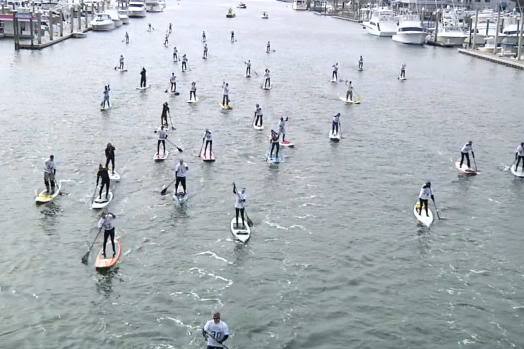 I’ve only been on a SUP once, but it struck me as a beginner-friendly pursuit, and one that a newcomer could conceivably enter a race for (provided, of course, you have a wetsuit, and per race regulations, a U.S. Coast Guard approved PFD). If you are of a similar belief, then check out the Logistics of participating. Logistics: Saturday, Jan. 18, Blockade Runner Beach Resort, Wrightsville Beach. $55 for the rec category, $75 for the elite if registering online, an extra $15 and cash only if signing up on race day. More info here. Saturday forecast: Sunny, high of 43. We’re hard-pressed to think of a better way to spend a winter weekend than by taking a hike. Unless, that is, the hike includes a guide who can enlighten you about the world you’re exploring. That’s the case with the Eno River Association’s Sunday Winter Hike Series. 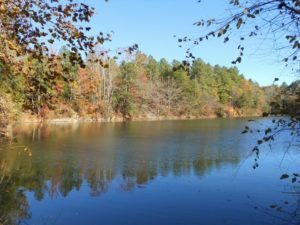 Every Sunday afternoon at 2 p.m., the ERA explores a different stretch of the Eno River with a hike leader who is intimately familiar with both the natural and human history of the terrain. This Sunday’s hike is at the Cabelands Access, an area rich in human and natural history. Logistics: Sunday, Jan. 19, 2 p.m., Cabelands Access, Eno River State Park. For more info and to sign up, go here. Saturday forecast: Sunny skies in the afternoon, high of 49.
Who doesn’t want to be on this mountain top (see photo), on a similarly sunny day, on a winter weekend? 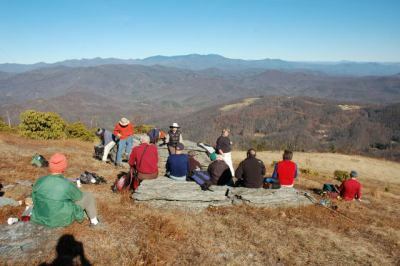 Sunday is your opportunity to do just that, as the Carolina Mountain Club leads a hike up Little Pisgah Mountain (see photo), which is part of the Florence Preserve in the Hickory Nut Gorge area. The hike is 10.5 miles and gains about 1,500 feet. The trail to the top passes through an open meadow, with the summit payoff — well, just look at the picture (see photo). And picture yourself on those rocks on Sunday, basking in the winter sun and eating a peanut-butter-and-banana sandwich. Logistics: Sunday, Jan. 19, 9 a.m. Florence Preserve. For more information and to sign up, contact hike leaders Michael and Kathy Cornn, at 828.458.1281 or mcornn@aol.com. Sunday forecast: Partly cloudy, high of 45.